Talia Mielke, an iFilmGroup member is so happy to announce she has officially been accepted into the musical theatre performance program at Sheridan College! This is the second iFilmGroup member to be accepted to Sheridan in the past week. 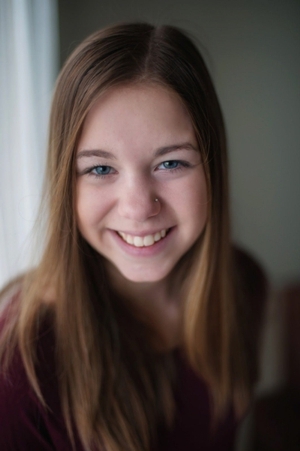 “Sheridan has been my DREAM school since I was thirteen,” says Mielke. It has been a five-year journey that Mielke has planned out her path and prepared to go to Sheridan in the Honours BA of Music Theatre Performance program. “I remember printing off the list of audition requirements at school and bringing it to my parents. I remember telling them that this is where I want to go. I remember saying that I need to keep doing dance lessons but I also needed to find a voice coach and get involved in more theatre productions”. Mielke has worked hard at her acting, dancing, and sing. Along her theatre journey she has danced, sang and acted her way through Wonderland, Prince Edward Island, and Charlie’s chocolate factory. She dealt with a cranky old headmistress at a boarding school, hung out with some sorority girls, chimney sweeps, someone named Poppins and will ultimately wind her way down the yellow brick road towards her dream. Now her fairy tale is coming true and she is counting down the days until the school year starts and her dream becomes reality. She has even found the time to work on her film experience with iFilmGroup and m & s Marshall Productions. She played the role of Maizie Dunne in Blue Love and has been part of a couple of iFilmGroup workshops as well as being part of the Drama Therapy filming day and the iFilmGroup promo filming date. Before she goes to sing, dance and act her way across the Sheridan stage she will be auditioning for a role in iFilmGroup short film “Not Ready “ filming this summer. Sheridan is known as one of Canada's best-known musical theatre school, so their students get more attention—from audiences and performing arts industry recruiters. They are held to high standards in this rigorous musical theatre program, but they refine their talent while performing in professional surroundings before paying customers. 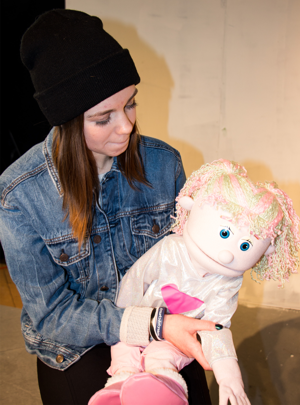 No other performing arts school offers Sheridan’s degree of professionalism. Students have classes in acting, singing and dancing five days a week, plus weekly one-on-one tutorials with faculty in acting and singing. In addition to studio work, they get instruction in scriptwriting, music theory and music theatre history. Sheridan's Honours Bachelor of Music Theatre Performance gives students theoretical and practical training in three core disciplines of acting, singing and dance through a comprehensive and holistic approach that will prepare them to perform in an international landscape and be considered true “Triple Threats” in the Musical Theatre industry. Mielke is extremely grateful to everyone who has helped her and cheered her on throughout the past five years! “Thank you to the directors/ choreographers/ music directors, to the production teams, to the crew, to all of the dance teachers throughout the years, to my voice coaches, to my castmates, to my friends and family, to my church family, to drama teachers, to other academic teachers, to headshot photographers, and everyone in between. I appreciate all of you more than you will ever understand and I can never fully repay you for all of the kindness and encouragement you have shown me”, says Mielke. She feels she could not have done it without them all and she has so much love for each and everyone that has contributed to her on her journey. Although iFilmGroup has not known Talia Mielke long they feel in the short time she has worked with them she has left a big impact and are proud to have been a stop on her incredible journey towards her dream. The iFilmGroup team wishes Talia Mielke all the best and success in her future journey as she pursues her dream.